The woods surrounding the villa are my favourite in the area. Parking is not a problem as the Roman villa has an overflow car park inside the woods and is well signposted from the A40. 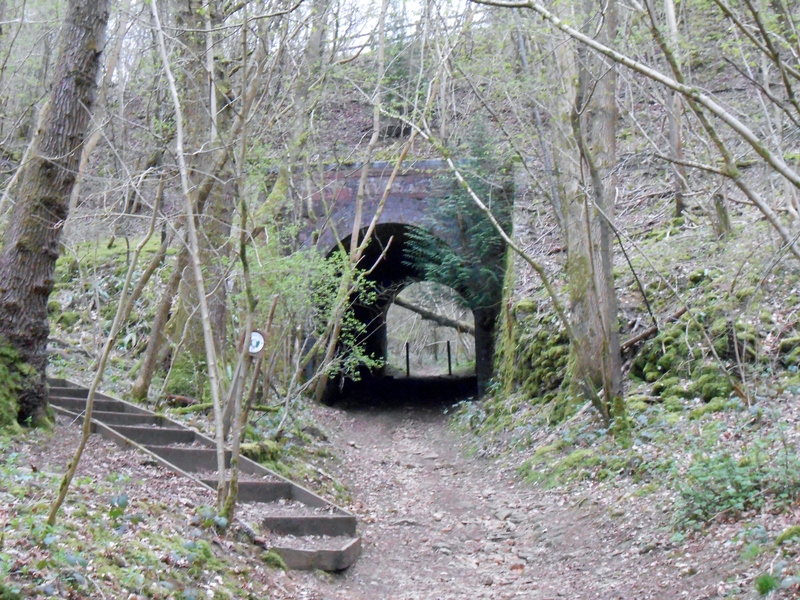 To the left of the coffee shop, a footpath leads to Chedworth woods and nature reserve. This path is in fact a disused train track that shut in 1961. The forest hosts a lot of wildlife and even at 9am, I saw two deers hopping right in front of me. Walk in the direction of Cassey Compton and when emerging, turn left to follow the river Coln that meanders between the two valleys. There are lots of different options then, the shortest being to loop back to the Roman Villa but the walk can be extended to the Eastern part of Chedworth Woods, then the town of Chedworth before going back to the villa. 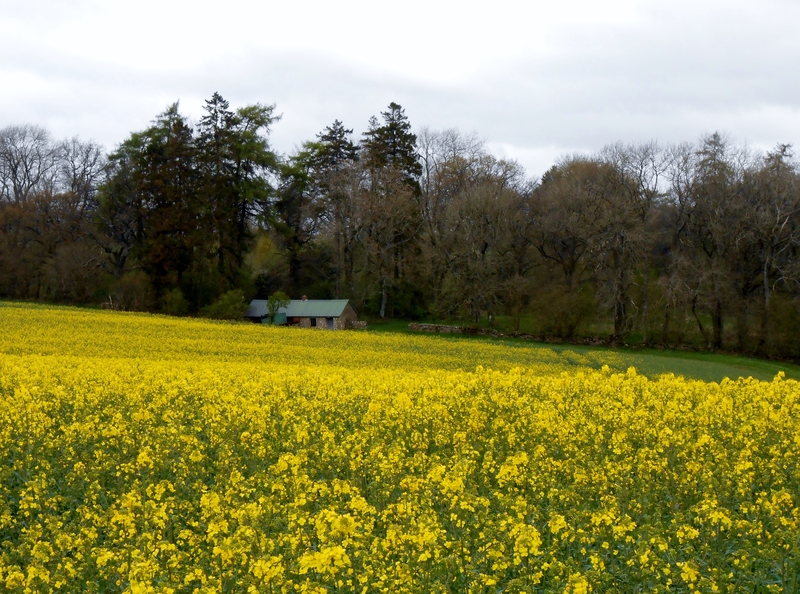 I have to say this walk offers one of the prettiest landscapes around due to its gently rolling hills, stretches of green fields and meandering stream but above all, I enjoyed Chedworth woods a lot. I like the way forests, like deserts and oceans, put us in our place. I find the large imposing trees and the soft muffled environment that makes you think nobody would hear you scream are humbling. The icing on the cake of this walk is the villa itself. The National Trust, who owns the site, has done a very good conservation job and this 4th century villa is well worth a visit. The layout is still clearly visible, so are mosaics, a few columns and a pool and you do not need a degree in archaeology to visualise what the building might have looked like. In total, the walk lasted about 3h and the visit 1h, but these are adjustable to every combination possible and can be followed by a café at the villa or a meal in the neighbouring town of Northleach. 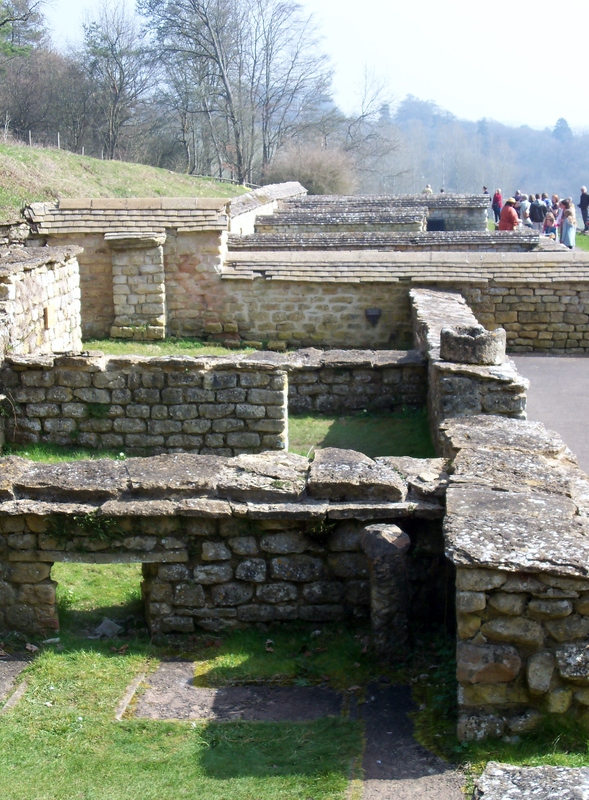 Have you been to the Chedworth Villa or the woods? Did you enjoy them as much as me?